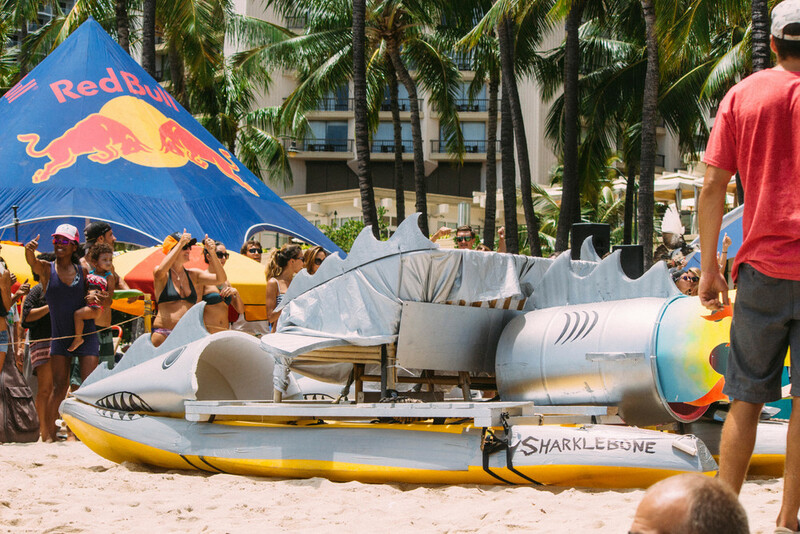 On Sunday, June 13th, Red Bull hosted the first annual Party Wave event in our backyard of Kuhio Beach. 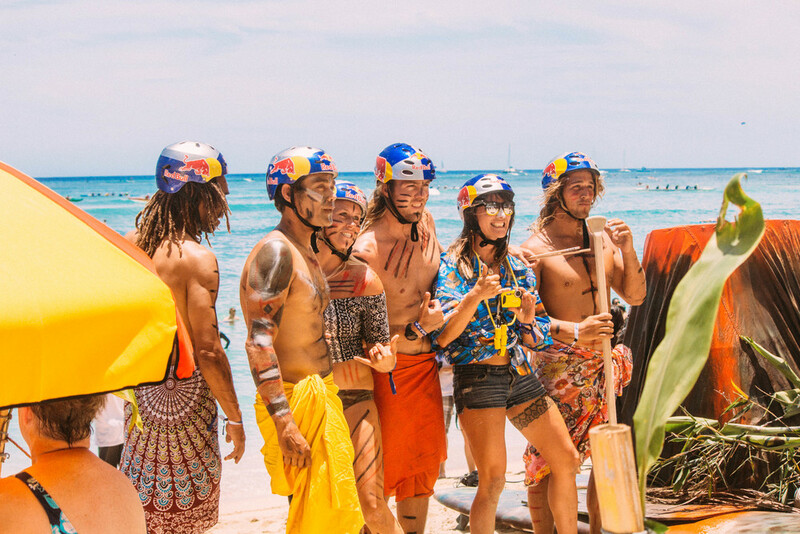 Six water crafts took over Queens surf break to compete for the first ever title and an all expense trip to Las Vegas for the Red Bull Air Races. 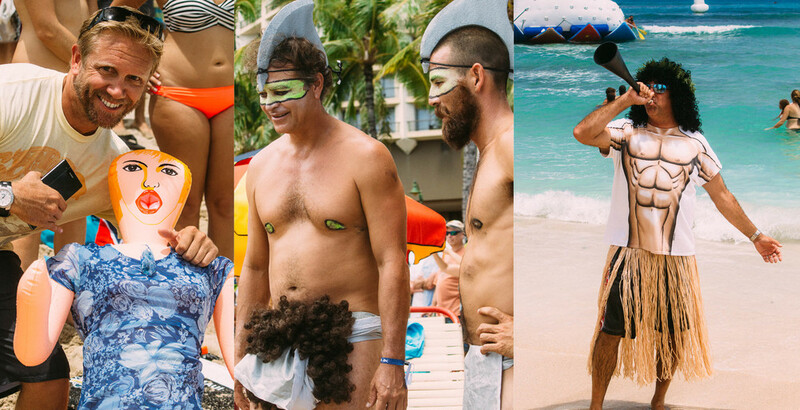 Winner of the Party Wave was the "Gnarly Nomads," the Oregon Trail themed wagon craft that had the longest ridden wave of the day. 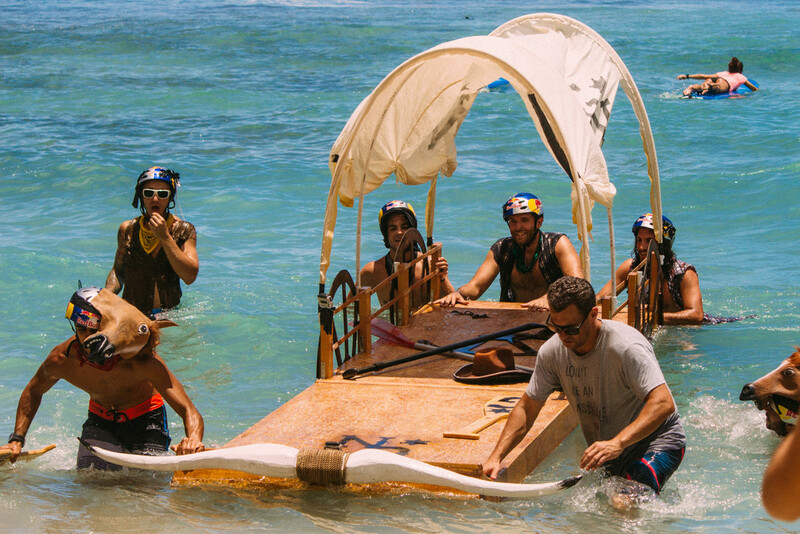 Shout out to the West Maui team "Unsinkable," who dramatically sank before reaching the surf break.